A new play about China and the London housing crisis will be staged at China Exchange at 8:00pm on 9 June 2016. Jingan Young’s I’M JUST HERE TO BUY SOY SAUCE (我只是来打酱油的！) allows the audience to follow two couples – a pair of cut-throat real estate agents vying for the spotlight as they attempt to sell their latest million-pound property to a Chinese tycoon and a young couple, whose attempt to buy their first home together has left them picking up the pieces of their relationship. The performance will be followed by a thought provoking panel discussion on the themes raised in play – Home Vs Property. It is estimated that by 2025 China will have invested £105 billion + in British infrastructure, energy, transport but primarily in property. Is it fair to suggest that the Chinese solely to blame for the UK housing crisis? Guest speakers of panel discussion: Jingan Young, writer of I’m Just Here To Buy Soy Sauce; Mike Wilkins, Chief Executive, DuCane Houseing Association; Sally Wang, author , Buy Smart: What you need to know when investing in UK properties, founder of SJW UK Property Investment Ltd and SJW house of books; Moderator: Freya Aitken-Turff, CEO, China Exchange. I’M JUST HERE TO BUY SOY SAUCE (我只是来打酱油的！) is the first play supported by the China Exchange Cultivate Programme. After using China Exchange as the base for rehearsals and workshops, the play premiered during the Camden People’s Theatre “Whose London is it Anyway” festival in January. 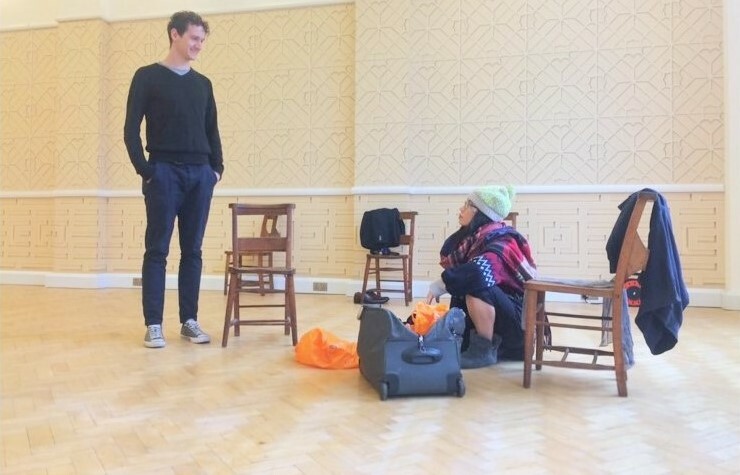 The play will now take the discussion ultra-local, exploring the housing crisis through theatre, debate, and giving platform to a diverse range of voices. With the housing crisis reaching breaking point, this project aims to ensure that the conversation is heard from both sides, reclaiming the debate about the state of housing in the capital. 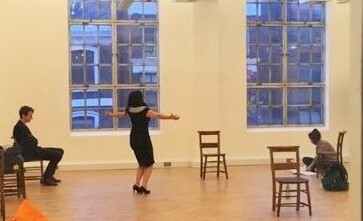 A peek of their rehearsal in our space. Admission: £12 (£9 for concession) tickets available online and at door.